Getting some things prepared for Open Studios! I’m taking part on the 26th and 27th September, and I know the time will fly past and it will be the end of September before I know it! 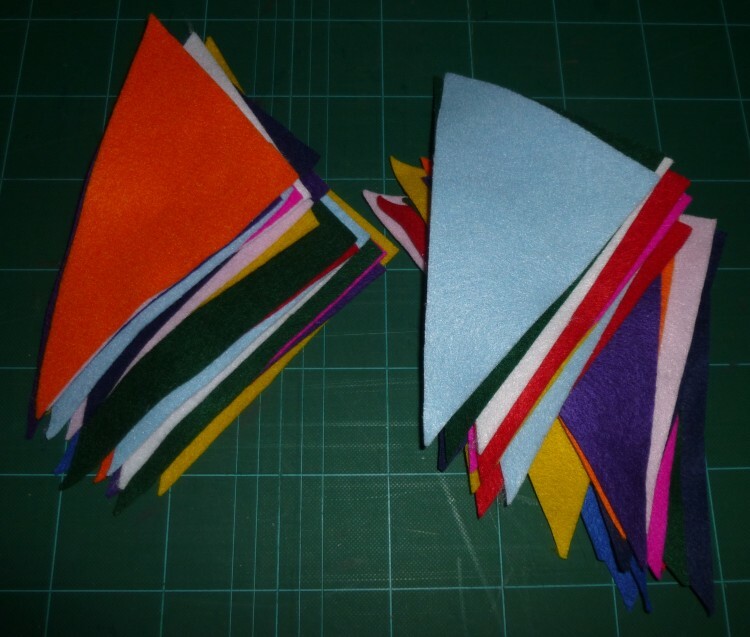 On Sunday I cut each of the rectangles of felt that I’d bought into four right-angle triangles – I’m sure they have a mathematical name but maths was never a strong point . . . . . . Yesterday I sewed all the triangles together, making sure they were all the same way round, to make enough felt bunting to string across the front of my house over the front door. I thought last year that it didn’t look sufficiently festive – so this should help! 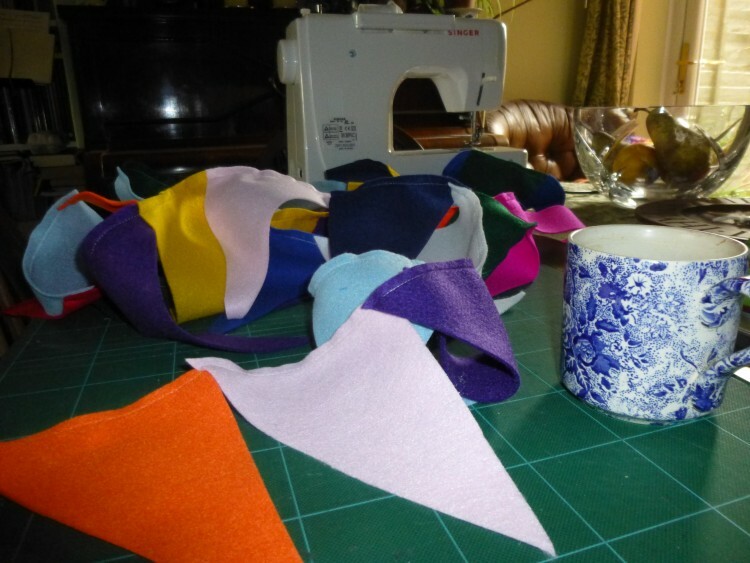 I got the idea for felt bunting from the wonderful Fabric Rehab shop at Dedham, and it is so quick and easy, with no hemming or raw edges to deal with, and the felt comes in lovely bright colours. So that’s another job ticked off my list!